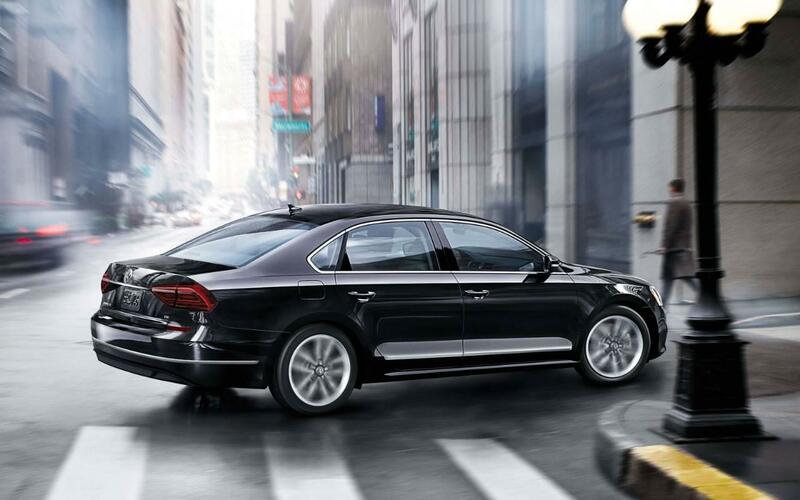 The 2017 Volkswagen Passat is undoubtedly committed to safety, as evidenced by its high safety ratings and array of features geared toward driver assistance. Find out what’s in store before picking a model out for yourself near Methuen and Andover at Commonwealth Volkswagen. This is one vehicle that will make you feel confident driving throughout Massachusetts! The greatest testament of the safety features in the 2017 Volkswagen Passat is the safety ratings it has garnered. The National Highway Traffic Safety Administration (NHTSA), for example, gave the latest Passat its best possible score of five stars out of five for overall protection. This rating includes four stars for front-impact protection and five stars for side-impact protection. The Insurance Institute for Highway Safety (IIHS) similarly gave this Volkswagen model top marks, with its best score of “Good” in all tests administered, like the small-overlap, moderate-overlap, front-impact, side-impact, whiplash protection, and roof strength tests. Also noteworthy is that in brake testing with Edmunds, the Passat was able to come to a halt from 60 mph in a distance between 123 feet and 130 feet. These tests and rankings stand as proof that the 2017 Volkswagen Passat was built with your safety in mind. Forward Collision Warning: This system comes complete with automatic braking in case a collision is about to occur. That means if your vehicle detects that a crash is imminent ahead of you, it will sound an alert and begin applying the brakes if you don’t take action immediately. Blind Spot Monitoring: You’ll also have the option to tack on a blind spot monitoring system with rear cross-traffic alerts, giving you audible and visual warnings if there’s a car in your blind spot or approaching behind you in another lane. Lane Departure Warning: If you’re going into another lane, this system is able to let you know so that you don’t drift out. Car-Net Telematics: The Volkswagen Car-Net telematics system sends out a notification to authorities in the event of a collision, offers access to roadside assistance, helps to locate your vehicle if it’s stolen, generates speed alerts, and permits geo-fencing, which is particularly useful if parents want to set boundaries for their younger drivers for ultimate peace of mind. With all of these features working in your favor, there will be utter calm getting behind the wheel of the 2017 Volkswagen Passat. Visit Commonwealth Volkswagen today to learn more about the safety features of the 2017 Volkswagen Passat. Our dealership is conveniently located near Haverhill and Lowell at 1 Commonwealth Drive in Lawrence, MA. Contact our team with any questions ahead of your visit!